Hamster Club Malta received an invite from the National Maltese Radio to be the host in a very popular programme. This is the second time that Hamster Club received an invite from a radio station in Malta. Hamster Club was also present on a another very popular programme on RTK radio. 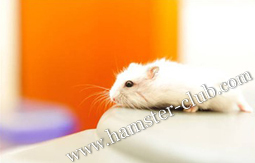 Thus, on 21st March 2010 at 11am (Central European Time (CET) +0100 UTC), a member of our Hamster Club will be present on the official Malta Radio in a programme named �Int u Jien� (the programme�s name means �You and Me�). Radio Malta is one of the most popular radio stations here in Malta. It is transmitted on this frequency: 93.7 FM. We encourage all hamster lovers especially Maltese hamster enthusiasts to listen to the above programme on Sunday 7th March 2010. It will be full of interesting information about our Hamster Club, Hamster Book and hamsters as pets!